The STARLAB is a portable, inflatable planetarium that can be set up in a large classroom. Students crawl inside the 16 ft. dome to experience a 360° astronomy lesson. Stars and constellations can be seen in their true three-dimensional relationship to each other, and can be viewed from different geographic, cultural, and temporal perspectives. Inside the dome, students can learn to locate and identify stars and constellations, discover how the earth's rotation and path through space affect which stars are visible at a given time, and absorb some history and culture along the way. 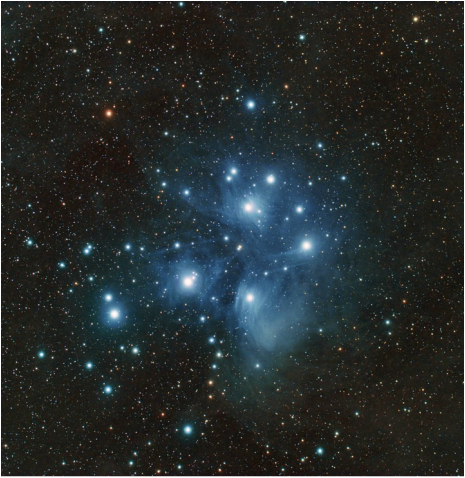 A STARLAB presentation can be incorporated into a greater astronomy curriculum, or can serve as a stand-alone discovery of constellations or the solar system. The MESD Outdoor School Program in Portland, Oregon, offers the STARLAB as a fee based program for third through twelfth grade classrooms. 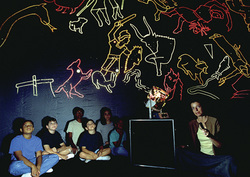 The STARLAB is ideal for enhancing curriculum with the impact of a field trip without leaving the classroom setting. ​The STARLAB is made by Learning Technologies, Inc.
Learning Technologies, Inc. has been making hands-on astronomy tools for education since 1977, and they strive to provide new astronomy education opportunities.